We've had quite a few contests rolling around here lately, so I thought I'd do a one post fits all for everyone. Congratulations! Weronika will be getting in touch with each of you soon about your various packages. Thanks to everyone who took the time to submit your flash fiction for the contest. URBAN FANTASY, OR IS IT? 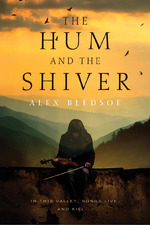 / The Hum and the Shiver: Deborah Blake won an arc of The Hum and the Shiver for her entry "Gravel Road Fantasy" in Alex Bledsoe's challenge to come up with a rural alternative to Urban Fantasy. 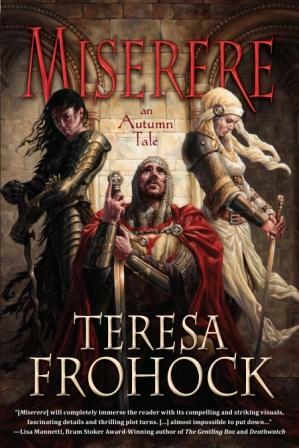 GLA BLOG: Marisa won a copy of Miserere at my post on How I Got My Literary Agent. TARTITUDE: Vaughn Roycroft won a copy of Miserere at the Tartitude Interview. Congratulations to all the winners and a special thanks to everyone who took the time to comment and enter all of the contests we've had floating around the Internet to celebrate Miserere's release during the month of July. There will be one more chance to win autographed copies of Miserere plus an autographed copy of another book by a different Night Shade debut author. Watch for a wonderul multi-author interview that will be happening at the Fantasy Book Critic a little later on. I'll let you know when that interview is live with a redirect.